The Perlan 2 during its first test flight above Oregon in September 2015. Next year this aircraft will be flown from Argentina to attempt a new altitude record. The Airbus Group’s Perlan II recently reached 32,500ft (9,906m) in altitude during a second series of test flights in El Calafate, Argentina. 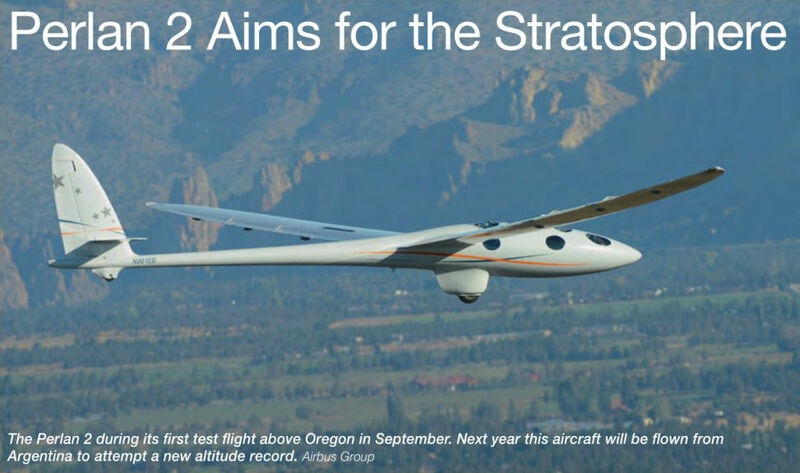 The plan is to fly this aircraft to the edge of space to collect data on the climate and high-altitude flight, and in doing so break the current world gliding altitude record of 50,727ft (15,461 m).